Prominent & Leading Manufacturer from Chennai, we offer Stainless steel finial and Designer curtain rod finial. 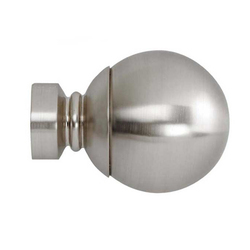 We are committed to offering our esteemed customers a wide assortment of Stainless Steel Finial. These finials are manufactured keeping in consideration the variegated requirements of our respectable customers. Our experts make sure that qualitative stainless steel is used to manufacture the offered range of finials. 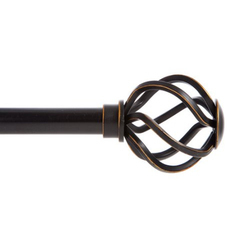 We have in stock for our respectable customers a qualitative range of Designer Curtain Rod Finial. These products are manufactured at our multifaceted infrastructure facility using high tech machines following industry set guidelines. Besides, we offer these products in a spectrum of specifications to our clients at industry leading rates. Looking for Rod Finial ?